Happy New Year? Not yet. In the universe of music gear, the NAMM show in California is a sort of unspoken new year’s holiday – home to the biggest wave of music tech announcements of the year. It doesn’t cover everything, as many music producer-specific makers have fled the pricey trade show booths for more focused events. But there’s still rather a lot. Here’s a look at what to expect. The monosynth has made its comeback; now it might be the drum machine’s turn. Behringer and Akai are likely to join recent product launches from Arturia, Native Instruments, Elektron, and others, not to mention the surprise entry of Pioneer into the market. The big player at NAMM is likely to be Akai Pro, with what is almost certainly the unveiling of the standalone MPCs that leaked in November. We expect that will also incorporate an embedded Windows operating system. I would expect other makers to get involved, too. Roland could add a sample-based groovebox to their AIRA line, for example. And I would imagine some other drum machine hardware may crop up here and there. Roland haven’t told me anything about their NAMM lineup, even under NDA, so I’m free to speculate here. The team that has produced AIRA, AIRA modular, and the most recent Boutique line have been really prolific. I imagine they’ve got something up their sleeves for NAMM. Maybe we’ll get a new generation of AIRA products. Or maybe we’ll see another vintage piece resurrected as a Boutique model. Someone also suggested to me wanting something like the SP-404 sample groovebox. That would to me be a great candidate for an AIRA-style reboot – and certainly I would wait a couple of weeks before rushing out and buying something. A mixer also seems possible. Roland this week at the Consumer Electronics Show released an entry-level, mobile-friendly mixer (more on that soon), but one that better complements AIRA and Boutique seems like it’d make a whole lot of sense. Whatever they’re doing, it’s going to be in 3D. Uh… for some reason. I’ve been physically at Roland press conferences before, in, like, actual three dimensions, and I’m not quite sure how this will work. But it’s happening. Though you could also go see Star Wars again. And then there’s KORG. Again, I really haven’t heard any gossip here. It seems like KORG are reaching the end of what they can do with the volca series product format, clever as it is; if they keep the volca line going, it seems it’s time for a new housing and some new ideas. It’s not that there’s anything wrong with the present volca, it’s just that their designers might come up with some ideas that didn’t fit inside that particular rectangle of pastic. But then again, that didn’t stop them from doing the volca kick last year. KORG have also proven adept at surprising us with reboots of vintage classics; they’ve a big back catalog on which to draw, so we could see something there. The Minilogue (and then its sibling the Monologue) was one of the best synths of 2016, so the bar is high. The Swedish “teenagers” have long been a favorite for unexpected invention at the NAMM show, and I suspect this year will be no different. I could imagine them building on and extending the Pocket Operator line. But I’m keen to see something closer to a production-ready OP-Z. You can also expect the Eurorack format to see some action. Part of this is just timing – while Berlin’s Superbooth has quickly become as important a community gathering as NAMM, the bulk of manufacturers are now in the USA and NAMM falls neatly at the beginning of the year. That’s meant that makers are liable to at least preview their latest stuff at NAMM, even if they show it again (or in more finished form) by Berlin in spring. Elektron are one to watch, it seems. They threw a curveball at us with the interesting but unexpected Analog Heat. 2017 feels like it may get a new flagship. In my dream world, that’d be a new generation of Octatrack, but… it could wind up being just a minor Overbridge software update. My rumor mill is quiet on this one. Given their product cadence, Elektron is one I could imagine making an announcement at Musikmesse. 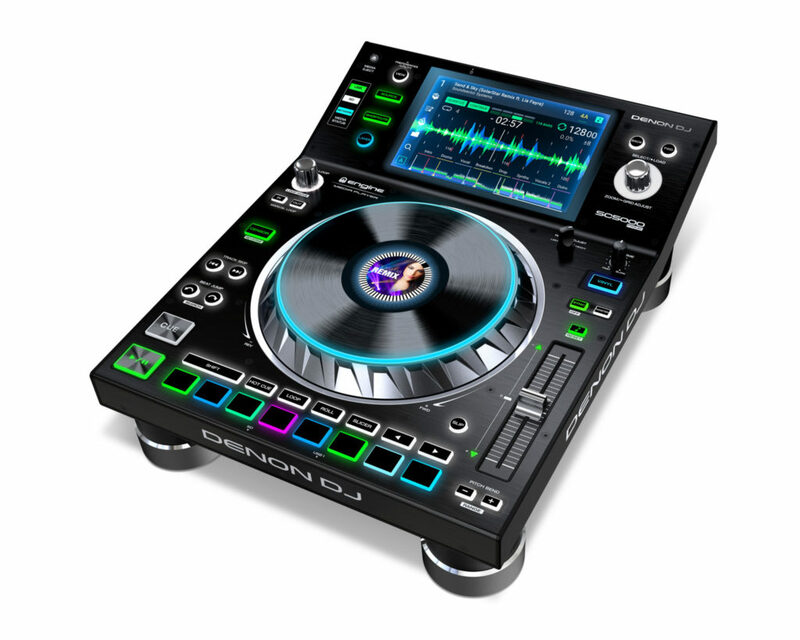 It looks like the big DJ reveal at NAMM is going to wind up being Denon’s CDJ rival. DJ TechTools reports on the leaks, somewhat surprisingly, given they were given a preview and are presumably under NDA. There’s some potential here: Denon are emphasizing performance features (in keeping with parent InMusic, who also own Akai), and they could well undercut Pioneer on price. But given the saturation of the CDJ, it’s hard to imagine their “#changeyourrider” campaign as much more than wishful thinking. Part of what has made Pioneer an industry standard isn’t just the player hardware itself, but also the Rekordbox workflow for preparing tracks. And that all leaves the question of what Pioneer may have next. Given their aggressive move into new markets, from turntables to samplers, I expect 2017 could be a big year. They may choose to focus at the NAMM show more on entry-level products for DJs, with higher-end gear launched elsewhere (as with the sampler at Musikmesse last year). But one reason not to underestimate Pioneer is their incredible push for emerging markets. While the USA, Japan, and the Eurozone remain the big markets for now, there’s huge growth in the global south – South America, Africa, and south Asia, which are also the youngest parts of the world. In fact, the real question may not be what happens at NAMM, but when we have a big DJ event somewhere like India or Kenya. It’s coming. It’s been years since Apple exhibited at NAMM. But they have often shown new versions of Logic privately at the show. And I expect a new version of Logic Pro that’s optimized for the new MacBook Pro, with Touch Bar support as found in Final Cut Pro. It’s not hard to guess what that would look like: Logic has context-sensitive tools just like Final Cut does, plus the macro controls that have been mapped to the iPad. Brace yourself for a bunch of audio interfaces. On the entry level side, makers have finally worked out that providing class-compliant USB means the ability to make serious audio interfaces that work with both your mobile device and your laptop. At the pro level, USB-C and Thunderbolt 3 are finally coming into their own. Apple has given that a boost by eliminating all but the USB-C connector on their MacBook line. But don’t overlook the PC, either: after years of lagging in pro audio connectivity, the PC platform now has roundly embraced USB-C and Thunderbolt 3. That’s meant makers like Universal Audio can finally support both platforms via a single interconnect, and provide reliable low-latency performance. Ironically, the increased specialization of the laptop in the post-PC era seems to have made PC vendors more likely, not less likely, to court pro users. So especially after looking at CES, we’re seeing lots of computers aimed at creators, and providing high-spec performance to match. There are some things that I think won’t be making an appearance at the show. Mobile music is still a thing, but the days of making specialized accessories seem largely gone. Companies like Native Instruments and Ableton have, as I said, largely abandoned the trade show as a format for making product launches. That’s not to say we won’t see something from them in January, just that you shouldn’t expect a splashy NAMM launch. I think in the age of social media, there’s a general resistance to doing all your product launches at trade shows, and getting lost in the avalanche of news. These shows are remaining just as vital in terms of networking, but less so when it comes to telling the story of a product. On the other hand, looking back at NAMM 2016, a lot of 2016’s tone was set at the show. The most important synths – KORG’s Minilogue and volca FM, Arturia’s MatrixBrute, the MakeNoise 0-Coast, the Dave Smith/Oberheim OB-6, to name a few – all made their debut. All the biggest modular stuff showed up, too. In fact, back here in Germany, the only big news at Musikmesse was really Pioneer’s Toraiz SP-16. So, we’ll be reporting from this one. Keep an eye out.